Tamika Catchings still gets giddy when she recalls the experience that she shared with the 1995-96 U.S. Olympic Team. It took place well before Catchings had won three Olympic gold medals, been named the WNBA Most Valuable Player or won a WNBA championship. Her career was in its infancy as she sat in a locker room with the rest of the USA Women's Junior World Championship Qualifying Team -- now referred to as the USA U18 National Team -- in 1996. 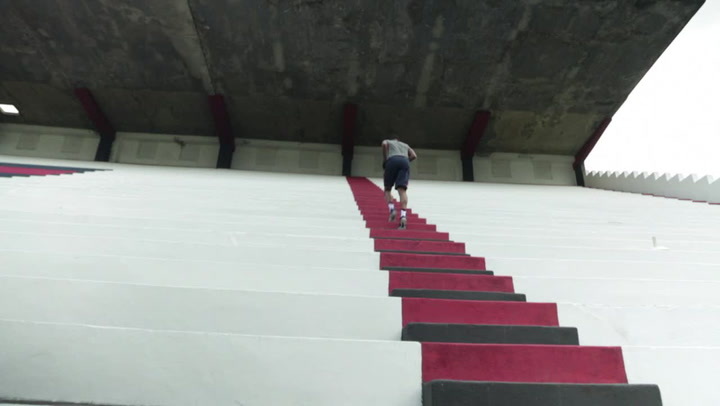 The players had been told following practice that they would be receiving a surprise. Exactly what was the surprise? 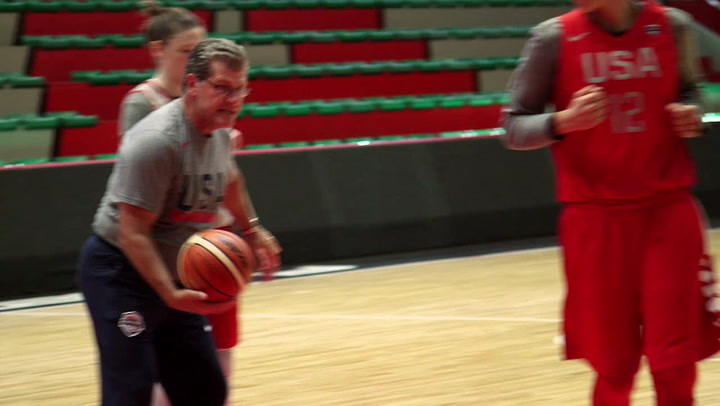 No one knew until a door swung open and in walked the U.S. Olympic Women’s Basketball Team. 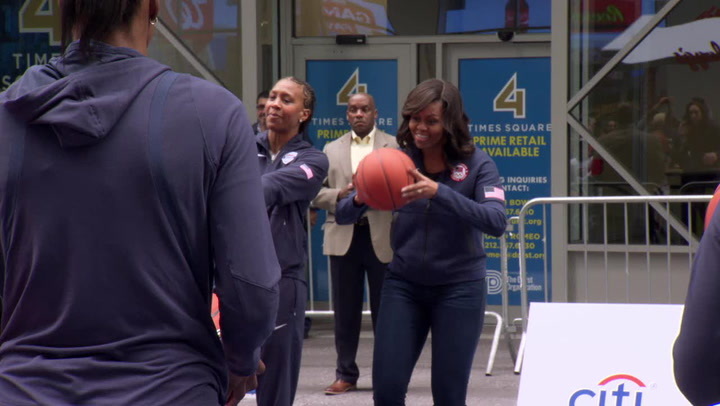 Suddenly, players such as Lisa Leslie, Katrina McClain, Sheryl Swoopes, Ruthie Bolton, Teresa Edwards and Dawn Staley were standing before them. On the 20th anniversary of the domineering gold medal run by the USA in Atlanta, Catchings is not the only current Olympian that was impacted by that team. Candace Parker, a two-time Olympic gold medalist, remembers watching the 1996 Olympics on her couch and telling her father that her goal was to one day play in the Games. She was about 10-years-old at the time. Sue Bird, who will be looking to win a fourth gold medal in Rio de Janeiro in August, attended an exhibition game between the U.S. and the Chinese National Team in Philadelphia when she was a sophomore in high school. And Diana Taurasi, who has also won three gold medals, had a poster of Jennifer Azzi on her wall. Three-time Olympic gold medalist Katie Smith was not fortunate enough to earn a roster spot on the 1995-96 team. However, she did have the opportunity to play two exhibition games against the USA – at Ohio State Dec. 21, 1995 during a 20-game college tour and in Philadelphia April 13, 1996 as a member of the WBCA All-Star team. Smith believes that it was this team that served as the foundation for the future of USA Basketball as well as the launch of professional women’s basketball in this country. The American Basketball League (ABL) began play in the Fall of 1996. The WNBA debuted in 1997. It was a different age back then for USA Basketball. The U.S. began training for the 1996 Olympics Oct. 2, 1995. Head coach Tara VanDerveer took a year away from Stanford to be with the team. And the players had no professional commitments that would interrupt the training period. The U.S. was 52-0 in its pre-Olympic competition. It then rolled through the Games unbeaten in front of a combined record crowd of 202,556, an average of 25,320 over the eight-game stretch. Overall, that 1995-96 team set and still holds U.S. Olympic records for scoring (819), scoring average (102.4), assists (207), field goals made (322), free throws made (142), free throws attempted (212) and field goal percentage (.572). The U.S. also set a team single-game record in field goal percentage (.662) in a 111-87 victory over Brazil in the gold medal game. Leslie scored 29 points in the game en route to setting the team record for scoring average (19.5) in the Games. Leslie also set team single-game records for scoring (35) and made field goals (16) in the quarterfinals against Japan, while McClain had a record 16 rebounds in the game. Edwards set a record with 15 assists in the semifinals against Australia. Winning the gold medal in Atlanta avenged a bronze medal finish in Barcelona, Spain, in 1992. The U.S. is now riding a streak that stands at five-straight gold medals heading into competition this summer. Staley said that the team felt pressure to win gold after the U.S. had come up short four years earlier. Not only did this particular collection of players excel as a team and post impressive individual performances, a number of them have achieved immortality in the sport by being enshrined in the Hall of Fame. Azzi (2009), Bolton (2011), Edwards (2010), Leslie (2015), Rebecca Lobo (2010), McClain (2006), Nikki McCray (2012) and Staley (2012) have been inducted into the Women’s Basketball Hall of Fame. Swoopes is certain to be in the future. Edwards (2011), Leslie (2015), McClain (2012) and Staley (2013) have also been inducted into the Naismith Memorial Basketball Hall of Fame. Swoopes is currently one of 14 finalists in the Class of 2016. The 1995-96 team established a level of dominance that the Olympians of today yearn to continue. This particular group, harboring memories of the past, will get another opportunity this summer. USA Basketball celebrates the anniversary of the 1992 U.S. Olympic Men's Basketball Team, i.e. Dream Team, winning gold in Barcelona on Aug.8, 1992. USA Basketball celebrates the 25th anniversary of the 1992 U.S. Olympic Men's Basketball Team, i.e. Dream Team, which opened Olympic play in Barcelona on July 26, 1992. Twenty-five years ago today, the legendary Dream Team took to the court for its opening game of the 1992 Barcelona Olympics versus Angola. 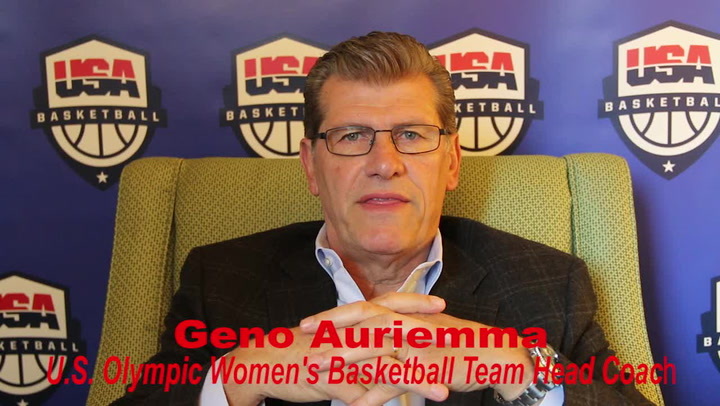 Geno Auriemma was named as a 2016 USOC Co-National Coach of the Year for guiding the 2016 U.S. Olympic Women’s Basketball Team to dominating gold-medal performance in Rio. Geno Auriemma was named as a 2016 USOC Co-National Coach of the Year, and here are the all-time USOC Coach of the Year recipients.